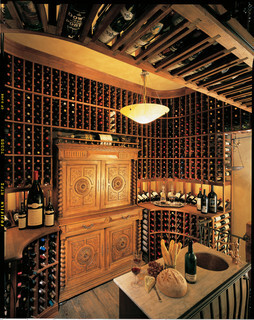 Vintage Cellars’ specialty is custom wine cellar designs. 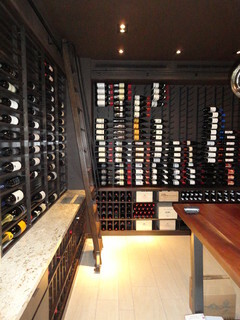 All wine cellars have to have functionality, of course. Racking and a cooling system are the bones any wine cellar must be built on. 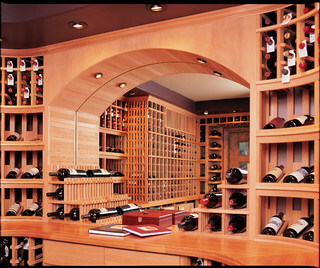 But when building a custom wine cellar, most clients have something more in mind than just mere functionality. Beyond storing their wine in perfect conditions for aging, a wine cellar should have a special stamp that makes it unique, and says something about the collector. This wine cellar at the Mariott Marina in San Diego makes use of vertical space and adds a bit of whimsy with a rolling, library-style ladder. 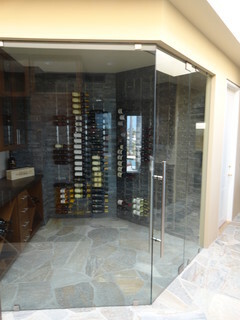 Glass doors modernize this wine cellar, and dramatically make the collection the focus. Forget tucking your collection away in a hidden corner. 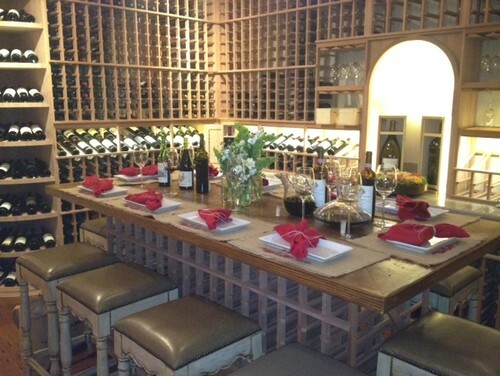 This Louisiana wine cellar makes double use of the cellar as a stunning tasting room. This arch gives this 1,500-bottle San Diego cellar a focal point. This wine cellar is already dramatic, with its tasting table and custom cabinetry…but when guests look up, the ingenious ceiling storage truly takes their breaths away. Tell us about your dream wine cellar! Very nice pics of these wine cellars. Thank you for sharing with all of us.